Welcome to the party, CC. As the Yankees have stockpiled victories this month, it's been primarily because of their starting rotation. But contrary to what one would expect, ace CC Sabathia had been the least impressive of the quintet. The lefthander changed that Monday night, throwing a complete game as the Yankees earned their 10th straight victory, a 6-2 triumph over the Braves in front of 42,709 at the Stadium. The last time the Yankees won 10 straight was May 7-17, 2005. They have won 20 of 24 games. At 41-25, they have the best record in the American League and are a half-game behind the Dodgers (42-25) for the best record in baseball. The Braves (35-32) have lost seven of eight, with four of those losses coming against the Yankees. "Our guys have just really done a good job of finding ways to win games,'' Girardi said. Sabathia (9-3, 3.55) allowed two runs, seven hits and a walk, throwing 116 pitches (84 strikes, only 32 balls). 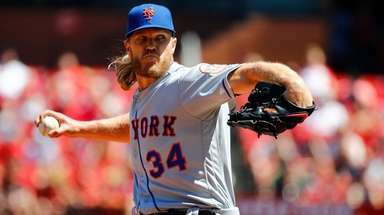 He struck out 10 in going at least seven innings for the 11th time in 14 outings. "That's the best I've seen him throw,'' said Chris Stewart, Sabathia's catcher the last 12 starts. Sabathia's performance was another notch in the belt of a rotation that now is 12-1 with three no-decisions and a 1.97 ERA this month. During the 10-game winning streak, the starters are 8-0 with a 2.09 ERA and have averaged just under seven innings. "We're just on repeat here every game for the last couple of weeks,'' Derek Jeter said. Though Sabathia put the Yankees in an early 2-0 hole, the bats eventually came alive -- a characteristic of plenty of victories in this streak -- with Jeter contributing a pair of two-out hits that drove in three runs, Mark Teixeira hitting his 12th home run and Robinson Cano adding his 13th, a towering shot into Monument Park in the eighth that made it 6-2. Jeter's standout night included a diving stop to his left on Michael Bourn's grounder up the middle to end the seventh. Mike Minor held the Yankees hitless for the first four innings, facing only 12 batters. 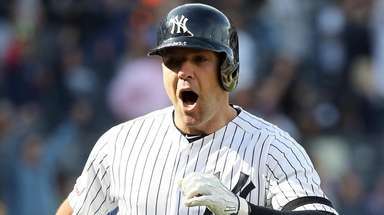 But Alex Rodriguez led off the fifth with a single, sparking a three-run rally that turned a 2-0 deficit into a 3-2 lead. Sabathia, who Girardi said has the best sinker he's seen this season, came right back with a shutdown inning, needing only 11 pitches to retire the Braves in order. He retired 12 of the last 13 he faced. "I always feel like with this lineup, if you can keep it close and keep them in the game, you have a good chance of winning,'' Sabathia said. It's added up to a 10-game winning streak, something not often accomplished. Even more impressive is that it's been 10 straight over an opponent above .500, extending a franchise record.